It’s a silly question, of course. We all have our own moral framework. That framework might be very similar to some â€“ very different to others. But how flexible is your moral framework? Does it change often? For instance, if I asked you a question today, would you expect to give a different answer a week later? Probably not. Apparently, our moral compasses are not as fixed as we’d like to think â€“ even over the course of a single day. Always scoop after your dog poops? Go to the gym or watch Netflix? Choose muesli or donuts for breakfast? Tell the truth about why you were late â€“ or notâ€¦? Leave that cup on the sink or wash it? There are a million little tests in a day. According to a recent study â€“ The Morning Morality Effect (Maryam Kouchaki & Isaac H. Smith) â€“ our decisions change over the course of a normal day. Early in the day, we’re far more likely to stick to our moral and ethical code more stringently and choose the muesli. According to the strength model of self-regulation (Baumeister et al., 1998; Muraven & Baumeister, 2000), the capacity for self-control is like a muscle and requires rest after use for its strength to be restored. All acts of self-control thus draw from the same finite resource, and the depletion of that resource hinders a person’s ability to subsequently exert self-control. What Does This Mean to Application Design? We can’t always know the local time for our users, but when we do, this can help us decide what to offer them and when. There are times when we want to appeal to their sense of duty, ambition, and purpose. That’s an AM thing. 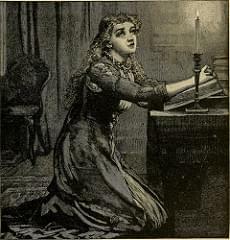 There are other times when we might want to appeal to their sense of self-indulgence or escapism. That’s more a PM thing. For instance, booksellers like Amazon might get better results in the morning by making ‘7 Habits of Highly Effective People‘ very visible. People are motivated and intent on doing the right thing. But as the afternoon wears on and people tire, perhaps ‘Fifty Shades of Chicken‘ increases its appeal (yes it’s a real book). What about a fitness app like Runkeeper? 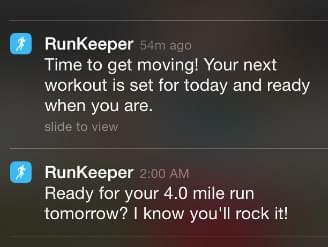 Runkeeper has always used nicely crafted messages to motivate users (and maintain their engagement). This Harvard study tells us these messages will be much more effective if you send them before lunch. However, later in the day – when they’re tired and looking for a taste of sugar – is the perfect time to pat them on the back for what they’ve already done. “Hey, you’ve done 25 miles since August 1st. You’re killing it!”. The takeaway? After a long day, a little love goes a long way.